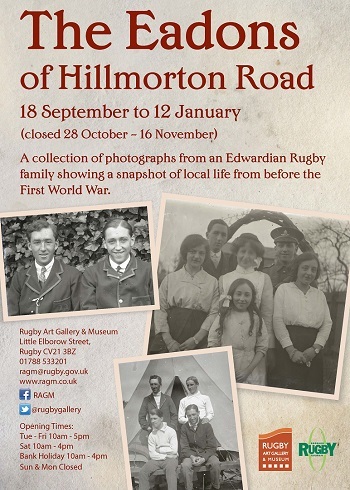 A collection of photographs from an Edwardian Rugby family showing a snapshot of local life from before the First World War. Both Chris and Leslie Eadon served in the army. Chris Eadon served in the Honourable Artillery Company (HAC) and was first based at Budbrooke Barracks near Weedon where he learnt to ride a horse. As a reserve he delivered training and he was also posted to the east coast where he shot down a Zeppelin. Leslie Eadon was a Lieutenant in the Royal Field Artillery. During his service on the front line he was injured falling from his horse. 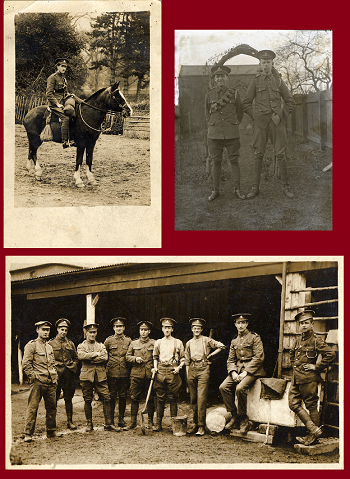 The Eadon’s collection includes pictures of Chris during his time in the HAC and with other members of the 2/A Battery and on leave in his uniform in the garden at 80 Hillmorton Road.